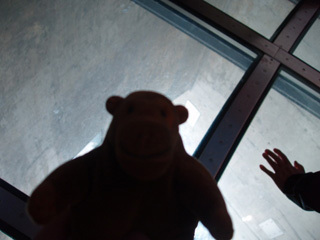 "I wonder if it's wise to make a floor from glass"
Mr Monkey took the lift back down to the Look Out, then scurried down some stairs to the Glass Floor. This is called the Glass Floor because bits of the floor are made of glass. 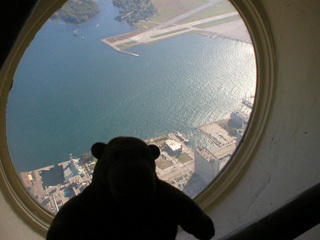 It's really the Mostly Not Glass Floor, but that doesn't sound quite so good.